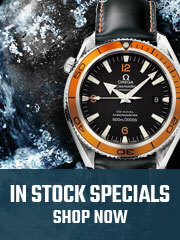 This watch has a white leather strap and is driven by the OMEGA Co-Axial Calibre 3330. It is truly one of its kind in terms of movement. 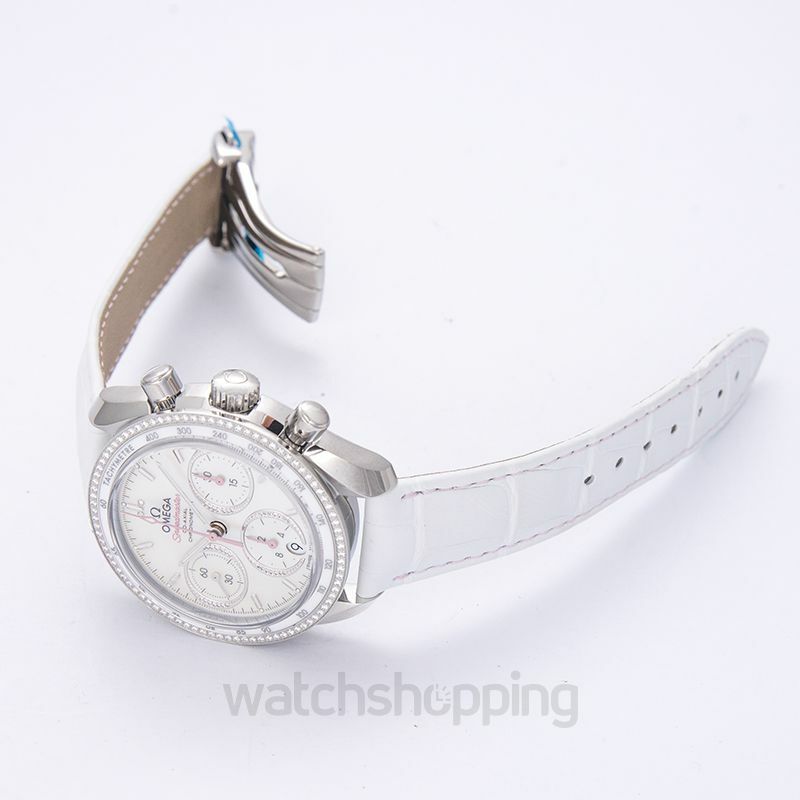 Plus, the white case and white strap combination is rare, just as the Omega Speedmaster 38 Chronograph itself. The Speedmaster is the crown jewel of omega chronograph, and it is one of the most iconic watches available. 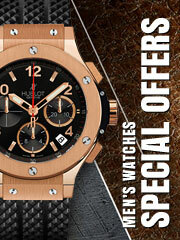 The watch is beautiful, elegant and has diamonds on the dial. The case is protected by sapphire crystal.